2013 has been an amazing year! I started this year with two personal goals. I wanted to get more certified and I wanted to get more involved in the community. While I was doing that, I got very heavily involved in the Salesforce StackExchange community. Over the course of about 4 months during the beginning of the year, I skyrocketed up to the Top 10 overall for the community. I was learning so much and so quickly, I became addicted. I loved earning reputation (the scoring system on StackExchange) and it kept me motivated to stay active and learn more. For more info on the Salesforce StackExchange, check out Pat Patterson’s (@metadaddy) and Matt Lacey‘s (@LaceySnr) Dreamforce presentation, Pushing the Boundaries: The Best of Salesforce StackExchange. It is a great site and I would love to see more people involved. In total, if you are starting from scratch, it will cost you about $90 to start and then $50 a year to maintain. For that, you can get a site, generate your own content, have custom email addresses with your domain, and build your personal brand. I am loving it so far! Since I launched the site on August 10, 2013, I have written and published 31 articles (including this one). For that effort, I have gotten about 15,000 page views. I have done all of this with no marketing at all, simply writing good content people want to share. I have utilized my Twitter (@jessealtman), Facebook, and LinkedIn to notify people when new posts are available. On top of pushing content from this site, I have also been active in those social channels pushing information about Salesforce and Salesforce StackExchange. This all led up to the biggest achievement of my career to date. 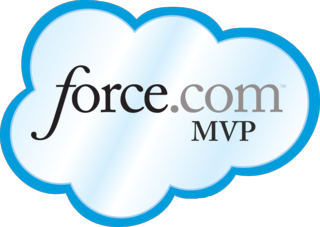 In Summer ’13, I was honored to be selected as a Force.com MVP. On top of all of that, meeting my fellow MVPs and fellow Salesforce StackExchange members made my trip out to Dreamforce ’13 one I will never forget. Both sets of people are so intelligent and brilliant in their fields. It is amazing to listen to some of the technologies they have worked with and their views on the field. On a personal, non-Salesforce related note, I also moved in with my girlfriend Sam and we got an English Bulldog puppy named Lunchbox. That experience has been amazing and I look forward to what the future holds there. It is going to be hard to match 2013, but I am going to try in 2014! I will continue to contribute to the Salesforce StackExchange community. I recently opened up a discussion on the Meta site to discuss New Year’s Resolutions for our community. I will also continue to post weekly articles on this site. I have my posts automated to launch each Monday morning at 6:45am EST so be sure to check weekly for new content. In fact, if you have any specific things you would like to read about, let me know and I will see what I can do. Outside of that, I am going to continue to try and grow my social networks. I restarted my Twitter after years of not using it and started a Facebook for the first time in 2013. I want to grow my user base by captivating them with new and interesting information. I also have some other cool possibilities I have been toying around with. For instance, a stretch goal of mine is to actually write a book. I am hoping 2014 will have time for all of this! As a final note, I would just like to thank all of my readers, fellow MVPs, fellow StackExchange members, and the community in general. You have all motivated me to push myself past what I thought was possible and I truly appreciate it. During this time of year, it is important to take a step back and reflect. Find what you did right and wrong and move forward. With a new year comes new possibilities. What will 2014 bring for you? It is all possible, you just have to put your mind to it! Good luck and have a Happy New Year! Make sure to spend some time off your computer/tablet/phone and enjoy your family and friends during this time of year! Thanks for sharing your last year journey Jesse. I went through the same process last year to redesign my blog and refocus etc. However, I didn’t make as much progress on blogging as I wanted to. It’s great to see it makes a great impact if we consistently work on it and keep it focused. I am pumped up after reading your this post and setting challenging goals for this year i.e. getting my certs and active on blog. Quick question, was there any particular reason to select 6:45am EST as a auto schedule post time? Hey Kashi! I am glad it was an inspiration. You have a really nice looking site. I will definitely keep my eye on it for new posts! As far as why 6:45am EST? To be honest, 6:45am is when my alarm goes off to get up for work every morning. My post will launch and I am able to check it immediately to verify everything published well. That is the only real reason. It also allows me to do a quick tweet and share it on LinkedIn (I have Facebook set to auto share but I like specifically sharing it on the other social networks).